Trentino is in the north-east of Italy, a short distance from Austria and Switzerland. 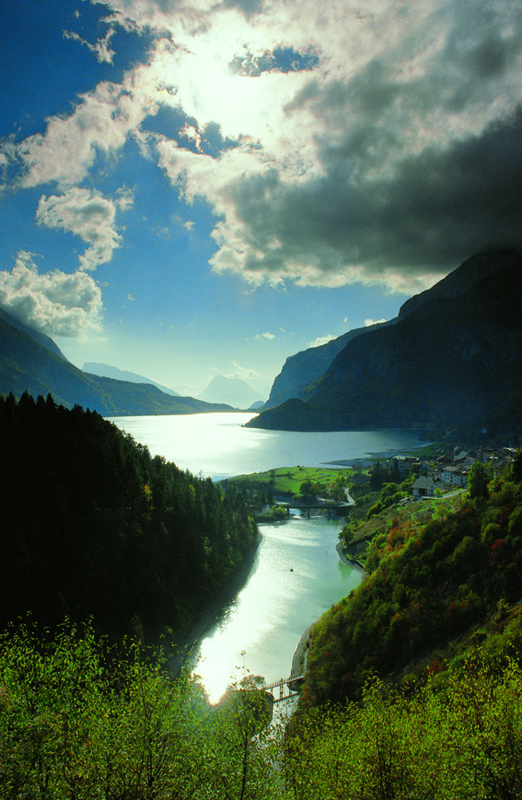 Thanks to its position, Trentino has always been a meeting point between the Mediterranean world and Central Europe. The open-minded outlook towards the outside world and the opportunities arising from exchanges of ideas have meant that the area has developed and has made the most of its potentials in terms of resources and opportunities. The business world and administration are building increasingly stronger links with research, especially in the fields of green technology, renewable energy, ICT and electronics, mechatronics, and cutting-edge applications for tourism. Trentino, as a result of all these collaborations, is becoming a real hub of innovations and ideas, practically a Silicon Valley in the Alps, defined as such by some national and European media sources. Researchers and young entrepreneurs from all over the world find fertile ground in Trentino for the creation and development of start ups. Another important aspect is the relationship with enterprises which collaborate with the University on research into new technologies and their development. Trento provides a privileged environment for studies and work thanks to its size and its services. In surveys conducted in recent years by La Sapienza University in Rome for Italia Oggi and by Il Sole 24 Ore on the quality of life in Italian provinces, Trento is the city with the best quality of life in Italy. It has been in top positions for six years, despite the economic crisis.